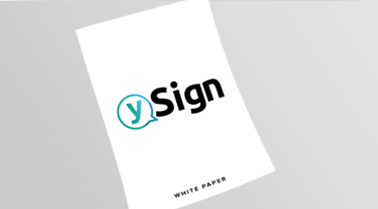 ySign | A new way of communication! ySign is a new blockchain-based global platform for free communication and discreet conversations with 100% privacy, created as an opportunity to stay anonymous and secure. We are a developed Information Technology company with an extensive knowledge of hardware and software, located in Malta. Our staff works in an ever-changing technology environment which requires us to stay on top of the market. We are not just one more IT company, we are a team of enthusiastic individuals with passion and creativity. Our team always strives for best results and successful projects. Good ideas and prosperous projects come from proven collaboration and being able to direct a team to do the best that it can do. At ySign, we all come to work every day because we want to solve problems and develop our ideas in IT branch. Information Technology is a field of constant change and it requires from us to always move forward and to keep in step with its development. Over the years we gained a lot of experience with exchange platforms and financials. The development of technologies has helped us to find new ways of building a free society, where everyone has freedom of speech and freedom of expression. We truly believe in the power of technology and its ability to simplify and forward communications, elevate experiences and connect people all around the world. Communicating with someone freely and without a stored copy of conversation will be possible with our new application for secure, decentralized communication. When we say freedom, we think that the complete app is decentralized, which means there is no processing and storage of messages or calls. 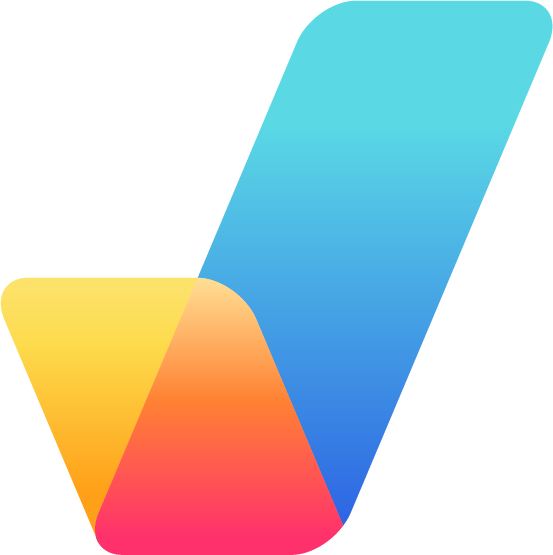 ySign is a new messaging application based on blockchain technology. With our app, we can send messages and make phone calls to others free, secure and anonymous! Creating and developing an app for communication without stored information was our goal. 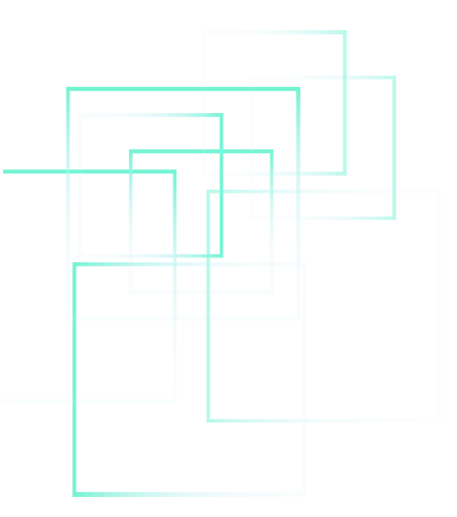 Instead of storing your chat communications or calls on a central server, ySign uses blockchain technology for decentralized file sharing to carry and distribute encrypted messages. The decentralized blockchain is our way to secure and guarantee users total privacy during the exchange of information. If there is no centralized copy of all data, there is also no possibility to misuse any information about users. Also, the application doesn't require any personal information from users - users are registered just with username and password. 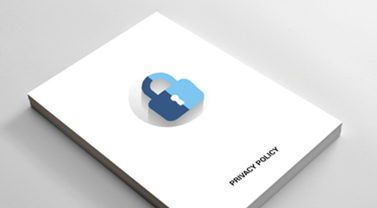 That way ySign provides a high level of privacy and security for registered user and all data. We are giving you the chance to interact comfortably with people around you. ySign is a reliable application for free and secure communication. Our decentralized blockchain-based system guarantees that our application doesn't store data from users. This way communication between registered users stays only between themselves. All the information is stored only on the users ID Address. Inner content of messages or calls is unavailable to anyone since there is no centralized copy of it. In this way, there is also no possibility to misuse any information about our users. Almost all of the world famous social networks are built around centralized applications. They also spend a lot of money, time and energy to keep all that data secure and protected from hackers, but this protection is not needed if no copy of the sensitive data is available. Our servers are already protected from misuse by using blockchain technology because the content of the messages remains unavailable to anyone except the two users communicating. With our blockchain-based communication app, the user can send messages and make phone calls to other users free and secure. The basis of our project is decentralized and anonymous chats, while the users are registered only with their username and password. When one user is registered on our app, he can choose between his username and his ID Address to be shown in communication. Every user has one unique ID Address and the last four/five numbers of it are displayed. Our app stores all data and messages only on that ID Address. Messages can also be stored on the user’s mobile phone and can be deleted at any given time by the user himself. One of the options on our chat is that users can also create groups, where the number of members is unlimited. This option is convenient for team gatherings, job plans or simply group communicating. We're creating the platform that connects a group of people to make it easy and safe for groups and teams who need to get their work done. At any time, you can send a message or call one user from the team just by clicking on that option and app creates one-to-one conversation. One-to-one or small group messaging keep conversations secure and accessible only to invited users. Ivan Vujic is the executive director, responsible for overseeing the activities of the whole company. He attended the International Management School in Europe and later extended his knowledge in the IT field. He has great confidence in the potential of blockchain and cryptocurrencies, and wants to connect communication and the newest technology. Milani Goykow took part in numerous of international projects. His master thesis is based on computer science , he has almost 10 years of experience in developing and is a big supporter of new technologies. Milosh Perian is a developer with experience and very enthusiastic when it comes to new technologies. He has a Business Information Systems degree. He is now utilizing Blockchain technology in web applications. Philip Gaup is a highly appreciated expert, helps in establishment and maintenance of identification procedures, reporting and solving problems of compliance and regulatory issues. He surpassed all expectations with his belief in the project and his idea of free and decentralized communication. And now we are on the top of that mission. Ronny Fust studied at the University of Germany and has a degree in international marketing and communication. He also educates himself in the field of marketing management. As he says: 'Power of speaking is a privilege of a humankind, therefore we shall use it.' He spoke at many conferences and important festivals for digital communication. Ajay Malhotra is passionate about networks and applications. He took part in a lot of international projects. His master thesis is based on computer science. He worked on different applications which runs on android platform land and also worked on google location api. Kulwinder Sandal has a wide experience and he understands exactly what kind of apps users need, se he worked in this field. Advantages which we offer are mobile apps based on different users and their needs. We have a relevant professionalism for development of mobile apps. We are always looking for talented people who support our vision and beliefs. We invite you to send us your CV and become the part of our team and accomplish these goals together with us. Join the team and be a part of our success! Kanwarpal Singh worked on a number of iOS Apps including Gaming, Chat, Business and Social applications. He is involved in project estimation, execution and delivery and responsible for client communication. He is Senior Consultant at SEASIA CONSULTANTS LTD., earlier he worked at Graycell Technologies Exports as Software Developer. His support is very important for us and for our team. Daniel Nowag is a well-connected entrepreneur from Germany and currently CMO at the real estate company Rivergate Developments Ltd in Dublin, Ireland. He is involved in many innovative projects in the European start-up scene and advises ySign on marketing strategies. Having him in our team is very important for the development of our project. Naveen Singh Suhag is a young entrepreneur based out of Switzerland having business interests and investments in various European and Asian countries. His field of interest are Telecommunications, MNO, MVNO, IT and Healthcare start ups. He has done his studies in India and in Switzerland. 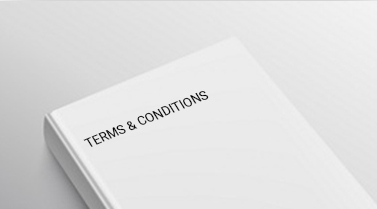 Please read the following terms carefully before using our website, applications, platform or any service made available on our website to understand our views regarding terms and conditions, your responsibility and how we treat it. 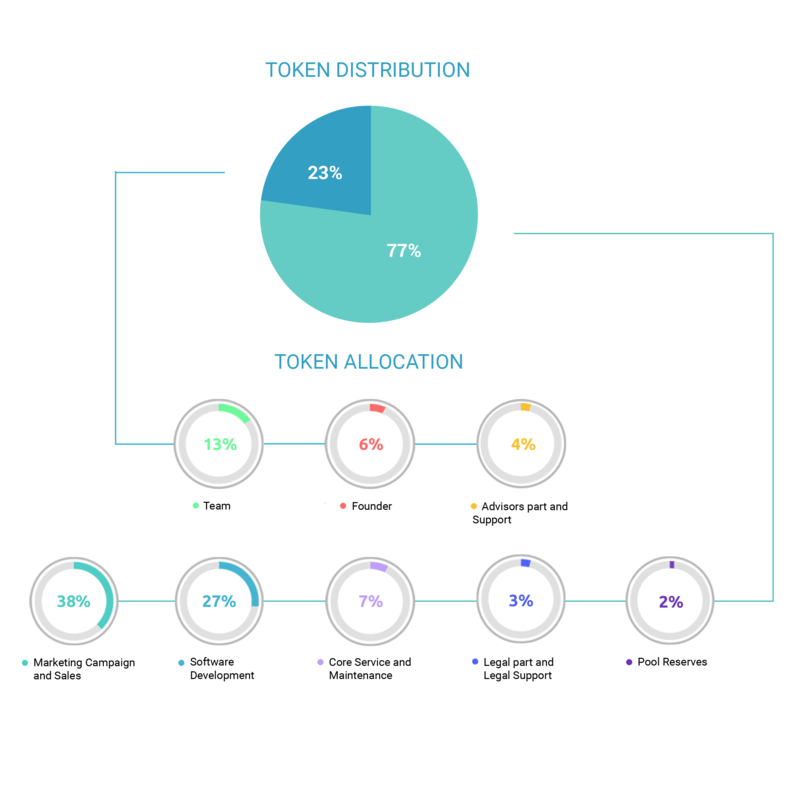 Our whitepaper presents current goals with the new ICO as well as future plans after the release of the application. As you can see through our documentation, our goals are achievable. We know that our vision is based on true success. Unfortunately, you are not allowed to invest in this ICO. Due to rules and regulations of your country. If you want to look at the technical paper, you must contact our support center. The sharing of our technical paper is limited due to the protection of our project.